It’s voting season and as many as 32 states could vote for marijuana legalization in someone capacity this month. This in stark contrast to the state of things back in the mid 90s when California became the first state to allow physicians to prescribe medical marijuana in 1996. Since then, 29 additional states have followed suit, with conservative-leaning Oklahoma becoming the 30th to pass broad-based medical use laws just a few months ago. Of the states that have legalized, nine have passed legislation allowing the use of recreational marijuana. Eight states have greenlighted the sale of adult-use pot, while the ninth – Vermont – allows use but not retail sale. 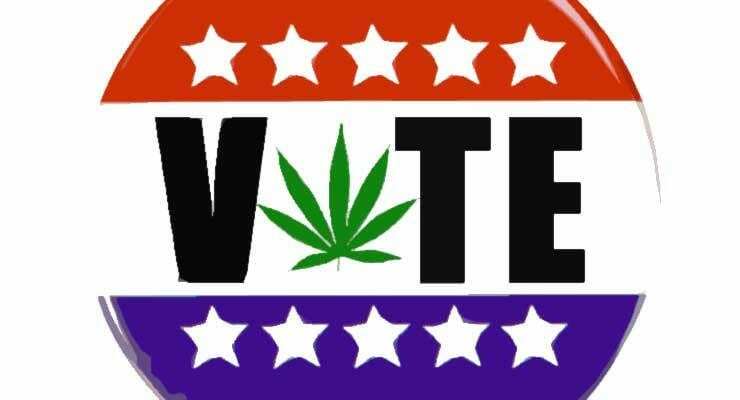 As we enter November with midterm elections just around the corner, four more states are poised to vote on cannabis initiatives. Michigan residents will cast ballots voting on whether to legalize recreational marijuana in November. This initiative, also known as Proposal 1, would allow adults 21 and over to buy and possess marijuana. Retail sales would incur a 10% excise tax, much of which would be disbursed to local governments and the state’s kindergarten-through-12th-grade education system, which is similar to what we do here in Colorado. However, as with other initiatives in already-legalized states, municipalities would be allowed to ban or limit pot establishments within their boundaries. Is Michigan on track to be the 10th state to legalize recreational weed? According to some yes, but others no. One poll found that 61% of voters are in favor of the measure, while another found that 47% were opposed. At this time, it’s too close to call. North Dakota, a traditionally conservative state, is surprising us all by being the only other state besides Michigan to vote on a recreational weed initiative this November. Measure 3 would legalize the recreational use and sale of adult-use cannabis throughout the state. Furthermore, it would expunge the records of anyone convicted of a drug violation where the drug in question is now legal. It would also treat cannabis offenses, like trying to sell or distribute marijuana to an individual younger than 21, with the same penalty as if the person were in possession of alcohol. No other state has been this aggressive with regard to rolling back prior convictions, so it’s definitely a vote to watch. The Utah Medical Cannabis Act, AKA Proposition 2, supports the legalization of medical marijuana for patients with qualifying illnesses. Patients would receive a medical cannabis card from their physician, which would allow them to purchase either a few ounces of marijuana or up to 10 grams of THC or CBD. According to most polls and surveys, Proposition 2 has a good chance of passing. While nothing is certain, Utah appears ready to legalize medical cannabis. Missouri has three separate medical marijuana initiatives on this year’s midterm ballot. Missouri Amendment 2 would legalize state-licensed physicians to recommend medical marijuana to patients with qualifying conditions. Medical sales would carry a 4% tax rate, the proceeds of which would go to healthcare services for veterans. Missouri Amendment 3 would legalize cannabis for medical purposes but would apply a 15% tax on sales. This tax is estimated to raise $66 million a year and cost the state only $500,000. Rather than dedicate revenue to military veterans, this Amendment would establish a Biomedical Research and Drug Development Institute that would aim to find cures for cancer and other currently incurable diseases. Finally, Proposition C would allow medical marijuana to be prescribed by state-licensed physicians to patients with qualifying conditions. A low tax of 2% would be applied to each sale, leading to the collection of approximately $10 million in annual revenue that will go toward veteran healthcare services, drug treatment, law enforcement, and education. So, come November, we could have as many as 32 medical marijuana–legal and 11 recreational weed–legal states in our nation. We’ve come a long with since 1995. Want more of the latest ‘vote for marijuana’ news, event updates and other fun cannabis-related stuff? Visit the Oasis Cannabis Superstore blog for more of what you love. Looking for the best weed, edibles and glass in Denver? Visit one of our two locations for the best service in town.